Successful natural resource management is dependent on good science (to inform policy) coupled with stakeholder compliance. One without the other creates conflict, causes stress, and can lead to depletion or misuse of the resource. Often in fisheries management, science and stakeholder interests are seen as two separate entities fighting to an eventual, dissatisfying policy arrangement for one of the involved parties. However, when stakeholders are involved in the policy-making process, the resulting arrangement is typically better liked, better complied with, and more satisfying than if the stakeholders are not involved. A new paper published in Science Advances used experimental manipulations involving fish stocking in freshwater lakes and recreational fishermen involvement to see how different ecological and management outcomes were related to participatory adaptive management. The experiment lasted several years and required large-scale ecosystem manipulation (researchers manipulated the population of recreational fish in 24 lakes!). The study found that fishermen engaged in the adaptive management process retained more ecological knowledge and were more likely to change their personal norms and beliefs about fish stocking. Over the last 40 years we have tried numerous times to convince resource management agencies to admit high uncertainty about how well their policies work. We (scientists and various stakeholders) have tried to convince them to adopt an “actively adaptive” experimental approach to testing those policies by making deliberate changes and monitoring the results. These initiatives have largely been unsuccessful, with perhaps 10 out of 50 resulting in some sort of policy change, and just a few where the experimental results were taken seriously and informed management change. Interestingly, those few success stories were all ones where there was strong stakeholder (e.g. fishermen) involvement in the policy selection and evaluation process. The Fugitani et al. 2017 paper is a very interesting success story, where not only an experimental management approach was adopted (to fish stocking for European recreational fisheries), but also a social experimental approach was used to compare different ways to encourage stakeholder involvement in the experimental design and conduct. It should not be a surprise to anyone that the participatory approach to actively adaptive policy testing did very well. Unfortunately, this doesn’t mean that stakeholder participation alone is enough to insure success in adaptive management. Consider for example the California Marine Life Protection Act initiative, where there was a legal mandate to use an adaptive approach to evaluation of marine protected areas. There was plenty of stakeholder involvement in the selection (size, location) of the MPA network mandated by the Act, but little interest in or commitment to the monitoring needed to determine which (if any) of the protected areas is actually doing any good. 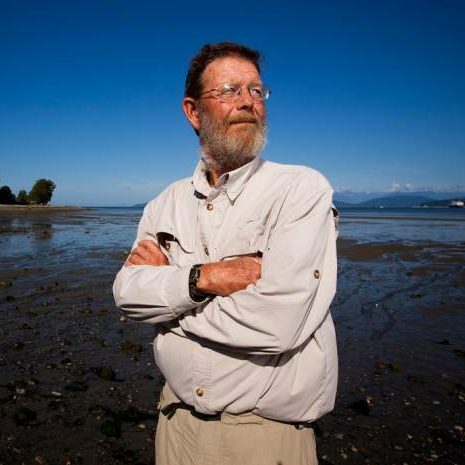 Carl Walters is a Professor Emeritus at the Institute for the Oceans and Fisheries at the University of British Columbia. His area of expertise includes fisheries assessment and sustainable management and has used that expertise to advise public agencies and industrial groups on fisheries assessment and management. He is a member of the Royal Society of Canada and received the Volvo Environmental Prize in 2005. He has been a member of a number of NSERC grant committees since 1970, and received the AIFRB Award for Outstanding Individual Achievement in 2011. Walters is considered the ‘father’ of adaptive management.